MINDSPEAK-VANDERLOOST: AJANBI TUM JAANE PEHCHAANE SE LAGTE HO! 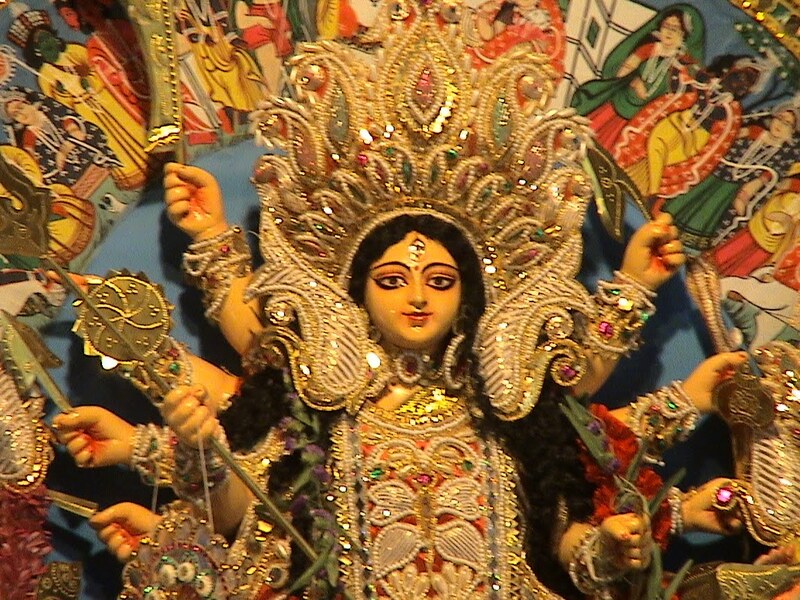 It was Maha Saptami. The second day of Durga Puja. It is customary for us, Bengalis, to visit the Puja Pandaal and be part of the Sandhya Aarati. Therefore, it was not out of routine when we landed on time at our local Puja Pandaal, to watch the Aarati. To our surprise, the Pandaal was empty except a few children playing hide and seek. Montuda, our local priest, was nowhere to be seen. His lone assistant was at the Puja Dias(Bedi) making efforts in vain to lit a Dhunuchi(a big oval shaped earthen ware in which aromatic powders, coconut fibres etc. are collected and lit ; the aroma filled smoke emanating from the embers is a must accompaniment with the Aarati and bestows additional charm and mystique to the whole affair). To our question when will the Aarati commence, his non-challant answer was,"Somewhere between 8 and 9". We were flabbergasted. Aarati is supposed to be in the evenings. But that is our Montuda - the "ever-punctual priest"
Since we had come all the way, we decided to sit for a while in front of the deity and pray. A few minutes later, a bespectacled boy of sixteen/seventeen arrived and sat behind us. He had a red tika on his forehead. We were softly conversing amongst ourselves. Earlier, our local Puja used to be held outside in a bigger maidan. Now it has shifted to a park inside. We were trying to recollect the year when the shift took place. My brother-in-law said that it was just two years back. Maa said no, it was more than that. It was during this debate, that the boy joined in. He corrected us and informed that it was now five years that the Puja was taking place in this park. He knew for sure as he had been assisting Montuda during the Puja days. But he shook his head a little apologetically and confessed that he was neither Bengali nor Brahmin. We assured him that caste or community was not important. It was the Bhakti Bhaav, the sincerity of emotions, which mattered the most. The boy got encouraged. He showed us the mobile snapshots of the deities (the murtis are sculpted in varied styles and the best amongst all is selected and awarded) that he had visited this year and the years previous which included our local one too. When my brother-in-law asked him what prompted him to take part in the Puja. He looked at the Devi and said , " She is the source which guides me". We were enthralled to witness such devotion in a young boy like him, given today's gen now(not to be taken personally). I told him that he should also make it a point to visit another Puja Pandaal, nearby, which we generally frequent. He nodded enthusiastically and promised that he would. He reminded me of my nephew who is now in Bangalore, working for a Multi National Bank. We used to call him Montuda's chela as these four days he would be continuously at the Puja Pandaal assisting in the Puja and doing all kinds of odd jobs. We used to jokingly call him the half pondit moshai! Half not only because he was young in age, half the size of the main priest but also because just by helping the priest he had come to know about many of the rituals associated with the Puja. Unfortunately, his holidays now do not always coincide with the Puja which he makes up by giving generous contributions for the arrangements - a form of remote and quiet participation not to be confused with boastful show of wealth. It was almost an hour now and Montuda was nowhere to be seen. We got up to leave. The boy did the same and went looking for the truant priest. Though we missed the Aarati, but somehow, the conversation with the boy had filled us up with an unusual contentment. Meeting and talking to the boy was as fulfilling as attending the Aarati. As I got into the car, I realized that I had forgotten to ask his name. But it was not important any more. What is in a name?As long as we had the good fortune of identifying and spending some time with a pious soul!